In a bowl mix all ingredients . keep aside for 12-15 mins. Again mix well. As we need watery consistency of batter just check with batter. According to me this much water is enough. Now on dasa tawa or non stick pan put few drops of oil to grease that. Pour spoonful of batter from outer side to center. Drop some oil at the side of dosa. Let the base becomes golden or crisp. flip and cook the other side. 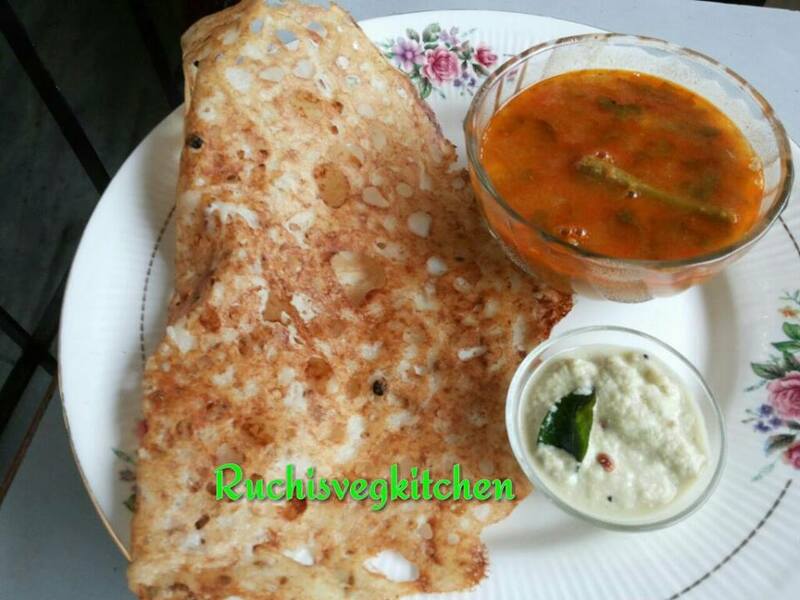 when both the sides are cooked, remove the dosa from the pan. prepare all the dosa this way. Serve immediately with Sambhar and/or Coconut chutney..
You can also add Onions, cashews or chopped green chillies. 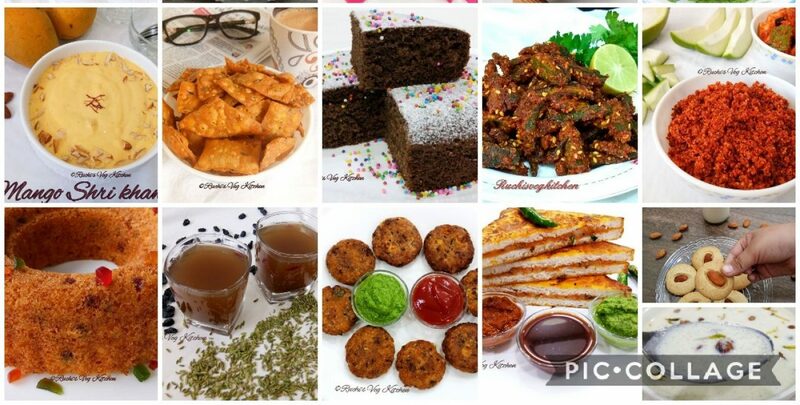 When u pour batter on tawa make sure your are spreading just by moving tawa not with spoon like rice dosa. 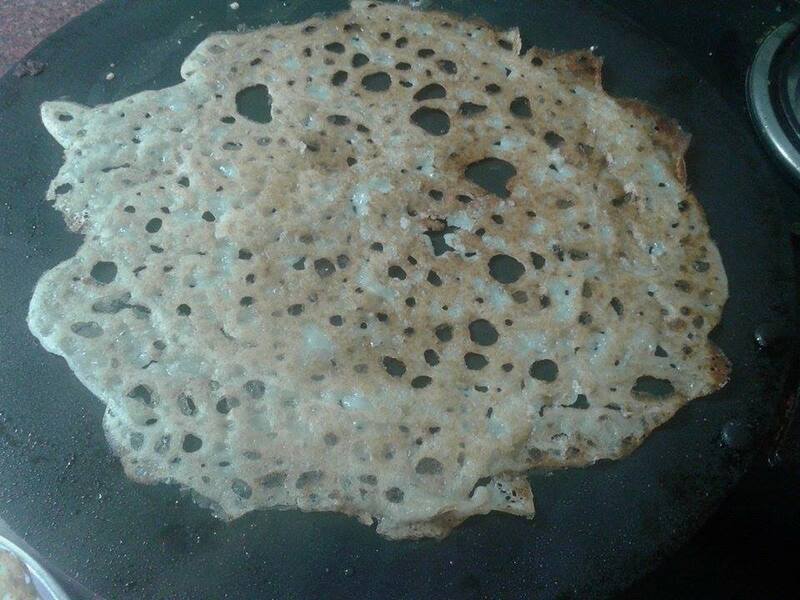 Take small quantity of batter and try to spread more to get such holes in dosa. It will be more crispy too..